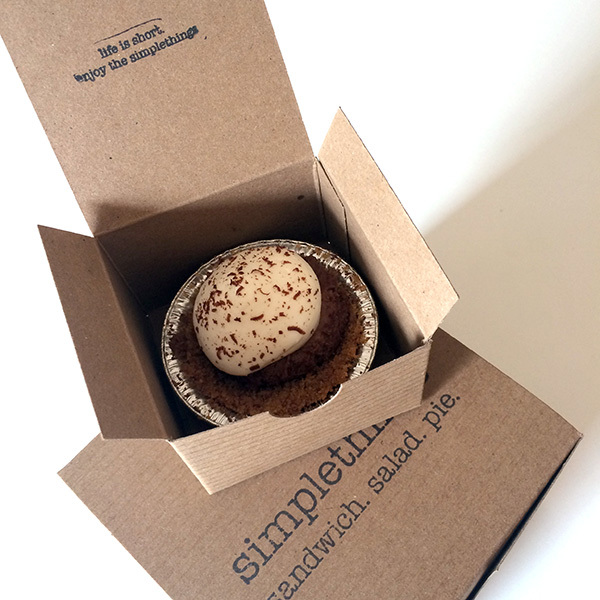 On fun surprises, Simplethings has fun messages inside their pie boxes! 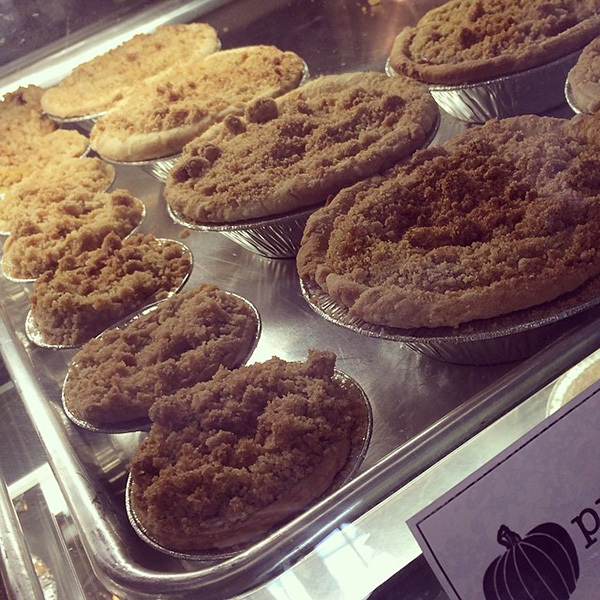 The new Simplethings in Westwood just soft opened on saturday, and we popped by to check it out for lunch and brought some mini “cutie pies” home! Inside the tiny cutie pies box is “life is short. 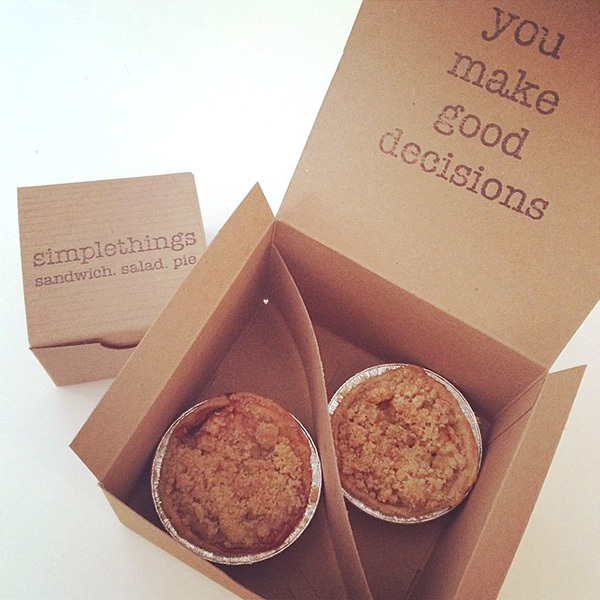 enjoy the simplethings.” and inside the simple pies box is “you make good decisions.” ~ ahhhh validation by pie box. Take a peek at the fun on the next page! 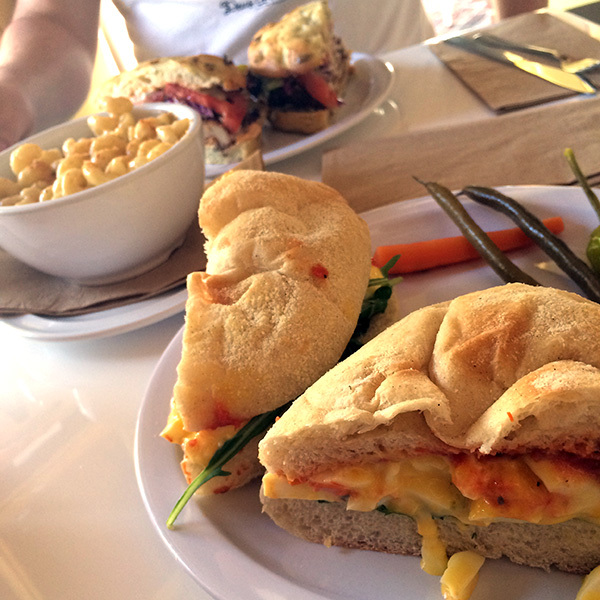 We tried the Fried Chix Sandwich, Egg Salad Sandwich, and Mac & Cheese… as for mini pies, got a little french silk, pumpkin, and peach! 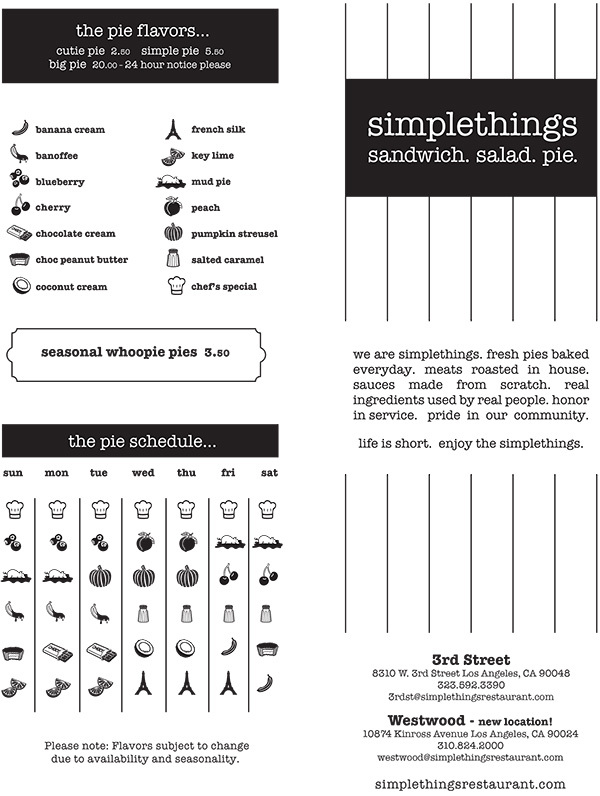 Cute way of sharing the pie schedule!